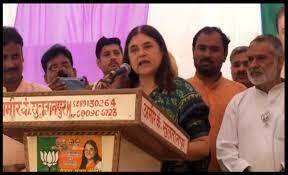 A video of Union Minister Maneka Gandhi speaking to voters in Uttar Pradesh, most of them Muslims, has gone viral on social media. In the video, Gandhi can be seen saying, “I have already won the elections, but tomorrow you will need me. If you want to lay the foundation for this, then this is the time”. Gandhi was seen speaking to voters in a village in Sultanpur, UP, from where she is contesting the Lok Sabha 2019 elections. The three minute thirty -one seconds video shows Gandhi speaking to voters in Hindi, many of them women from the Muslim community sitting in the audience. She starts by talking about the work done for Muslims and the amount of money she has spent for “Muslims”. BOOM also contacted a local reporter from Sultanpur who confirmed that Gandhi did make the above statements. According to the local reporter, Gandhi was speaking to voters from the Muslim community in Turabkhani area of Sultanpur in Uttar Pradesh on Thursday as part of her ongoing campaign. Gandhi who is the MP from Pilibhit, is contesting the 2019 Lok Sabha elections from Sultanpur, a seat which is currently held by her son, Varun Gandhi. Varun on the other hand, will be contesting from Pilibhit, a seat his mother Maneka, has won six times. 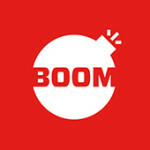 BOOM reached out to Maneka Gandhi’s personal assistant and the story will be updated once we receive a response.